Nancy Pelosi warns fellow Democrats of "electronic Watergate break-in"
EDGARTOWN, Massachusetts -- House Minority Leader Nancy Pelosi warned fellow Democrats on Saturday to change their cellphone numbers and not let family members read their text messages after personal and official information of Democratic House members and congressional staff was posted online. Pelosi told Democratic lawmakers that the Democratic Congressional Campaign Committee and other Democratic Party entities were the target of "an electronic Watergate break-in." 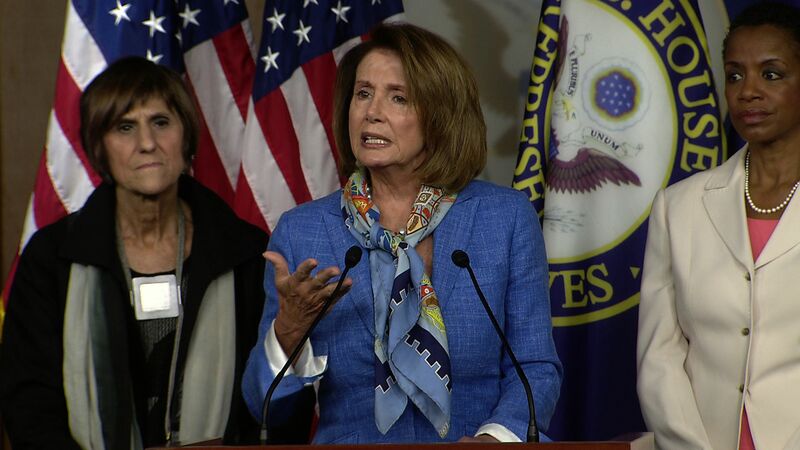 As a result, a mix of personal and official information of Democratic members and hundreds of congressional staff, purportedly from a hack of the DCCC, was posted online, Pelosi said. Are Russians behind the DNC breaches? "Upon landing, I have received scores of mostly obscene and sick calls, voicemails and text messages," Pelosi said in her letter to colleagues. "Please be careful not to allow your children or family members to answer your phone or read incoming text messages. This morning, I am changing my phone number and I advise you to do so as well. " Pelosi said the chief information security officer of the House, in coordination with Capitol Police, has sent communications to those people whose email addresses have been made public about how to address the problem. The chief administrative officer of the House has also sent an email stating that the House computer system has not been compromised, but urged members and staff to be vigilant about opening emails and websites. The latest document dump comes just as the Democratic party is still reeling from controversial emails posted to WikiLeaks ahead of the national convention. The emails, originating from Democratic National Committee (DNC) servers, seemed to show party officials' bias against Vermont Sen. Bernie Sanders, an independent, who was running in the Democratic primary against Hillary Clinton. The documents caused widespread uproar over the perceived favoritism towards Clinton, leading to the resignation of top party officials like then-DNC chair Rep. Debbie Wasserman Schultz of Florida. U.S. officials believed Russian hackers were responsible for the initial cyber breach, after they found Russian "fingerprints" left behind. Rep. Ben Ray Luján, D-New Mexico, was also holding a conference call with lawmakers on Saturday evening along with cybersecurity experts who have been investigating and responding to the breach.